Imagination Club Workshop: Living the Life and Work You Love? Living the Life and Work You Love? Waking up every morning feeling joyful, fulfilled and eager for the new day – A wishful dream for dreamers or this could be, should this be, your norm? How did we come to believe and experience life as tough, scary and that not many people care? Where did we loose the sense of possibilities of daring to put our gifts and potential out there, knowing they will be welcomed and bring success? Can we really feel inspired and fulfilled by our work when so many are disillusioned and burnt out? When profit is at the forefront, forgetting the human connection, how can we move forward in trust and with enthusiasm? In this workshop you will learn how to reconnect to a deep sense of possibilities and about the expansion of mindset and how we block it. Grace will share powerful exercises she devised from the findings in neuroscience on how to body build your life for deep joy and more. 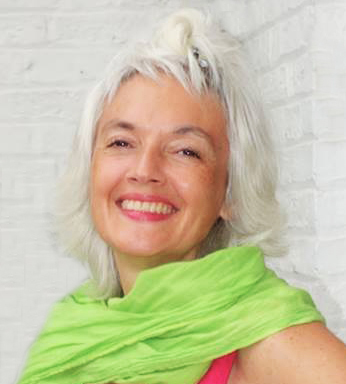 With enthusiasm, Grace has been working for over 15 years with individuals, entrepreneurs and start-ups to discover and reveal their unique gifts, visionary ideas and projects. She enables them to move past emotional and mindset blocks while reconnecting them to a strong inner knowing, and that anything is possible. Their brains, nervous systems and lives get an upgrade so that they can live the lives they love; lives filled with synchronicities, fulfillment and success. Today, thanks to internet, she is able to work with clients from all over the world - both online and in person - in English, French and Spanish. Grace is passionate about human potential and the individual as well as collective power of visionary ideas and inner spark. She loves people and she cherishes the gifts they have to share with the world. She is fascinated by the creative power of one and of many when they are working from their hearts. Having experienced in her life a lot of pains and challenges, Grace realised she had settled for a life of being stuck and unhappy. In 2013 she daringly changed her life completely and left Belgium for Bali. For her, it was the best decision of her life! Since then, Grace has felt a deep sense of inner freedom and joy that vibrates in her daily. It’s such a joy and blessing for her to share these subjects in talks and workshops she gives around the world. Her heartfelt enthusiasm and conviction is that we humans are so powerful and full off potential, that we do care, and that we can and do make a difference.